If the text isn't a wide as the container, scale the up text to fit. If the text is wider than the container, scale the text down to fit. In the case that text is scaled down, wrap the text to prevent ending up with one tiny, unreadable paragraph. I've tried parbox, pbox, tabular, and adjustbox, none quite meeting all three conditions. Sorry, but I had enough problems without having to deal with your fonts, etc. Not the answer you're looking for? Browse other questions tagged fontspec overpic or ask your own question. How to scale Tikz drawings and text together? 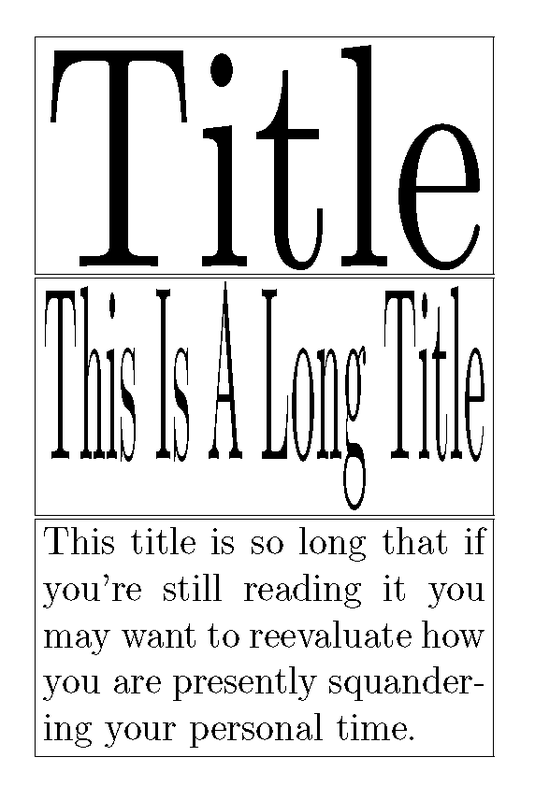 Put centered text in bottom of image using overpic?